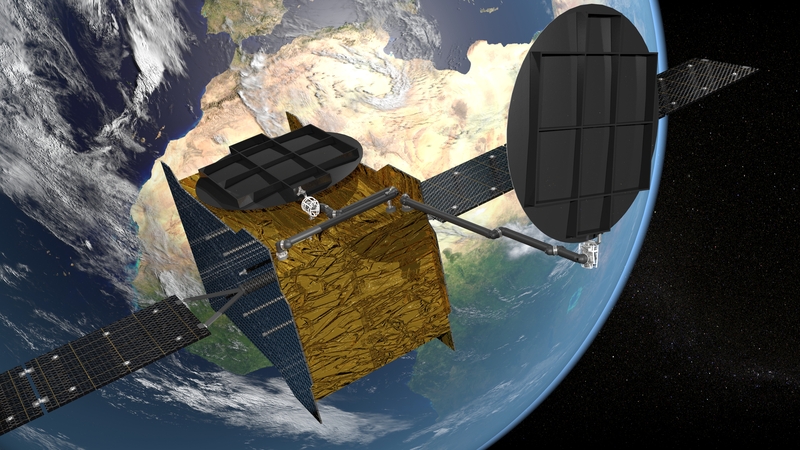 A new product within Airbus Defence and Space Netherlands is the so-called “Articulated Deployment System” (ADS), a modular deployment boom for the extension of satellites subsystems such as antenna reflectors, electric propulsion units or instrument systems. This system meets the challenge of bringing these subsystems at up to 5 meters or even more from the satellite, with high precision and stability. 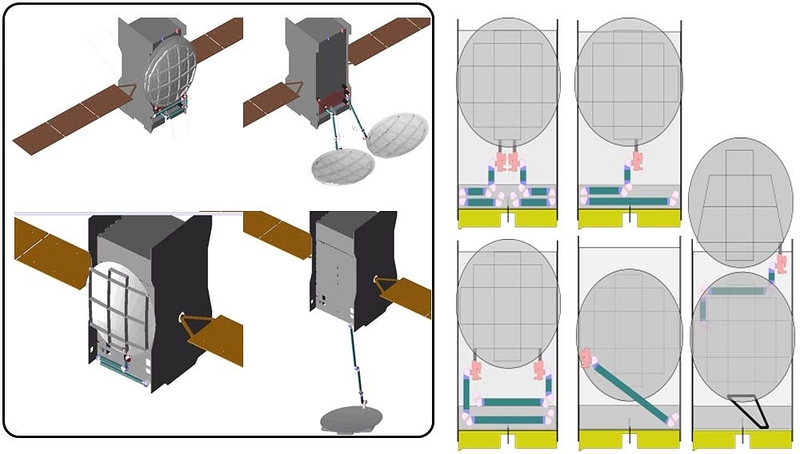 The ADS improves the satellite’s subsystem performance, for instance by enabling an increased antenna focal length, deployment of antenna reflectors with very large diameters, and an number of reflector on the S/C. The ADS can also be used as extension for electrical propulsion to improve the ‘steering’ and orbit-raising capability, and to put sensitive instruments far away from the satellite to ensure minimal disturbance of measurements. The ADS is a modular design based on pre-qualified ADS components allows for a flexible and versatile design of the boom, a low-cost and short lead-time of product, and multiple configuration options, e.g. with one, two, or three foldable segments. This also means that there are many options for possible stowed configurations and envelope of accommodation on the satellites. The design philosophy of the ADS allows for any customers desired deployed position and orientation of the antenna or instrument using only the standard ADS components. For antenna application, the ADS is also equipped with an ‘ADTM’ for continuous 2-axis trimming and pointing. The ADS system is especially suitable to deploy the large antennae of communication satellites. It is a new product but based on our knowledge and proven technology of both solar panels and robotics. Would you like to know more about this product? Get in contact with Guus Vermij (+31 (0)71-5245487) or click on the button to send an email.